Happy December friends! I love seeing all of the holiday decorations going up around town and there is nothing better than fresh Christmas trees and holiday cookies in the oven. One of my favorite holiday traditions is baking and decorating gingerbread cookies. 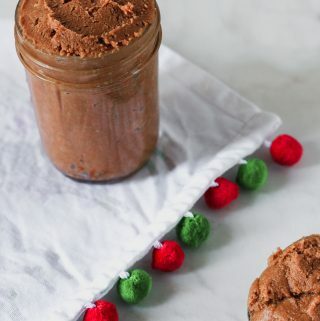 Cashew butter always reminds me of cookie dough so I thought it would be fun to combine it with gingerbread flavors for a special holiday treat. 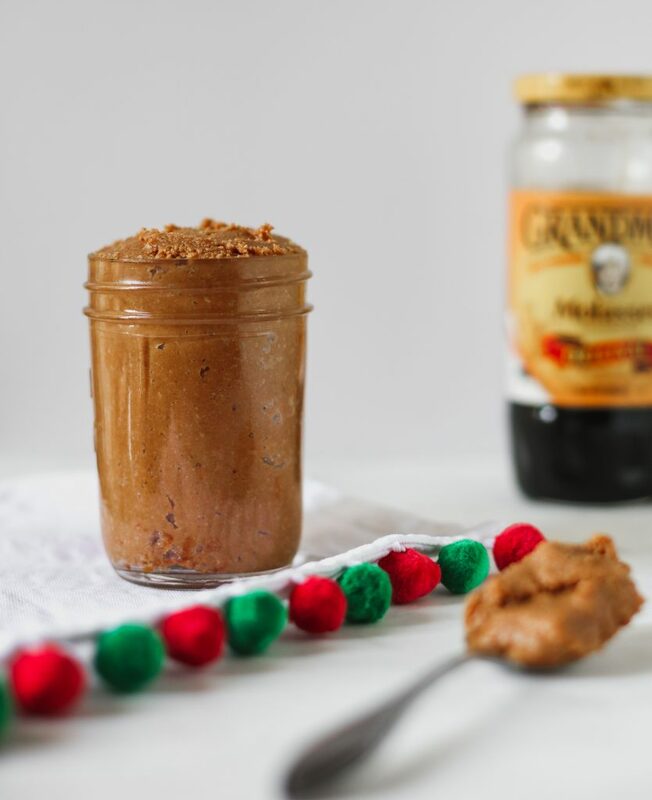 This recipe is so quick and simple and I’ve been referring to it was “Christmas Crack” because its so addictive and tastes just like gingerbread dough with subtle hints of cashew flavor.